Be it a dry scalp or chapped lips – jojoba oil has a solution for everything. Read on to know about the amazing benefits of jojoba oil. Jojoba oil (pronounced as ho-ho-ba) is an odorless, golden liquid wax that is produced from the seeds of the jojoba plant. Derived from a desert shrub that is found in the arid regions of the Arizona, Mexico, and California, it is mainly extracted as liquid wax. This is later refined to the colorless and odorless jojoba oil. Jojoba oil can be used alone or in combination with other essential oils to make it more beneficial. This ingredient gained importance due to its moisturizing and emollient properties. 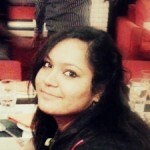 Its versatility has made it an indispensable part of the hair care and skin care industries. It restores the natural balance of the skin and hair by keeping them hydrated. Jojoba oil is very similar to sebum – the natural oil that lubricates your skin and hair (1). It can be used a substitute for sebum for people with decreased sebum production. It can also be used to remove excess sebum and build-up from the hair. It is antibacterial, anti-inflammatory, non-toxic, and comedogenic. This makes it extremely beneficial for the hair, skin, and the entire body. 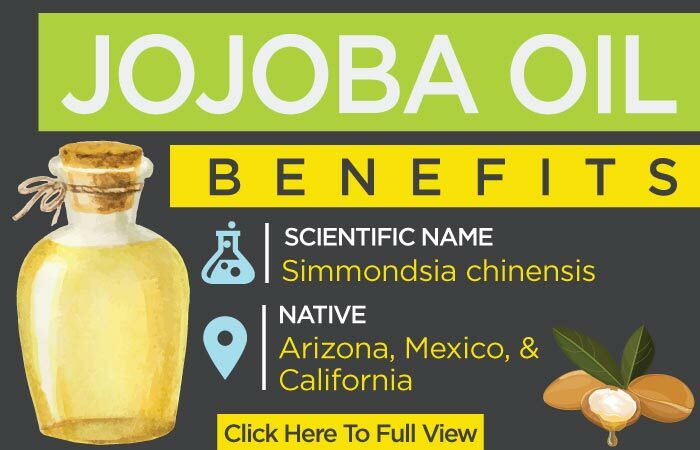 Now that you have a brief idea of the properties of jojoba oil, let’s look at the various benefits offered by it. Jojoba oil has many cosmetic uses. It is one of the most extensively used natural ingredients in lotions and moisturizers. Let’s take a look at how jojoba oil can be used to cure various skin ailments. It has a high amount of ceramides, which cover the skin cells and are responsible for their hydration. It gets quickly absorbed into the skin and does not leave behind any oil residue (2). This helps in creating a powerful barrier against moisture loss, allergens, and dust pollution. It moisturizes dry patches and restores the skin health. All you need is to rub a small quantity of jojoba oil on your face and hands before you sleep and wash it off in the morning. Simple! Are you suffering from skin disorders like eczema and rosacea? Jojoba oil to the rescue! This oil is considered to be a natural cure for eczema. Jojoba oil has anti-inflammatory properties that help in reducing the redness caused by dry skin and other conditions like rosacea (3). Dip a cotton ball in jojoba oil and apply it directly to the infected area. Do this twice daily for quick relief. Jojoba oil works well on oily skin too. It is non-comedogenic and does not clog pores (4). Jojoba oil stops the skin from secreting more oil on its own and balances oil production. Here’s how you can use jojoba oil to get rid of grease and dirt from your face within no time. Wash your face and pat dry. Rub a few drops of jojoba oil all over your face and neck, and you’re done. Jojoba oil contains many minerals that will give you a healthy and naturally glowing skin. It is rich in vitamin E, which is potent in eliminating the free radicals that are responsible for skin aging (5). The continuous use of jojoba oil can decrease fine lines and wrinkles by up to 25%. Also, the linoleic acid and antioxidants present in jojoba oil help in regenerating the skin cells. It is highly effective if used with a face wash or a moisturizing cream. However, direct topical application has proven to show the best results. Jojoba oil is antiseptic and non-greasy. Hence, it is a very effective treatment for acne. It clears the exposed areas and clogged pores and leaves no scar marks. This also helps in clearing blemishes. The extended usage of jojoba oil reduces the pore size and controls oil secretion, which prevents recurrence of acne (6). Gently apply some jojoba oil on the affected areas and leave it on overnight. Wash it off with normal water the next morning. The antibacterial properties of jojoba oil help reduce skin inflammation by killing the bacteria (7). It is also used for healing wounds, cuts, and minor infections like cold sores and warts. Jojoba oil reduces the painful swelling and redness that often accompany an injury. So, don’t shy away from using this amazing oil the next time you suffer from cuts and injuries. Wondering what makeup remover to use from so many available options? We have the perfect solution! Jojoba oil has good cleansing properties and can be used as a makeup remover and facial cleanser. This oil helps in removing all traces of makeup instantly. All you need to do is soak a cotton ball in jojoba oil and rub it all over your face and lips. Remove the oil residue from your face with a moist cotton ball afterwards. Jojoba oil is also helpful in removing eye makeup like kohl, mascara, liner, and eyeshadow. Caution: As the areas around your eyes are very sensitive, make sure you apply jojoba oil gently. Jojoba oil can be applied not just on the face, but all over the body prior to bathing. It hydrates your body adequately, so you can safely skip using a body lotion after your bath. It is quickly and easily absorbed into the skin and promotes blood flow, which will make your skin glow (8). You can also use jojoba oil for body massage. It has a non-greasy texture and pleasant smell that will give you a soothing feeling. Worried about your dry and cracked heels? Jojoba oil to the rescue, again! The regular application of jojoba oil on the feet will keep them smooth and prevent cracked heels (9). For an intense foot treatment, apply the oil and put on your socks. Leave them on for one hour. Your feet will become smooth and soft. Many of us have really dry cuticles, and our nails are prone to breakage. This makes it impossible for us to flaunt long and pretty nails. Just rub some jojoba oil on your dry and brittle cuticles every day after your bath. 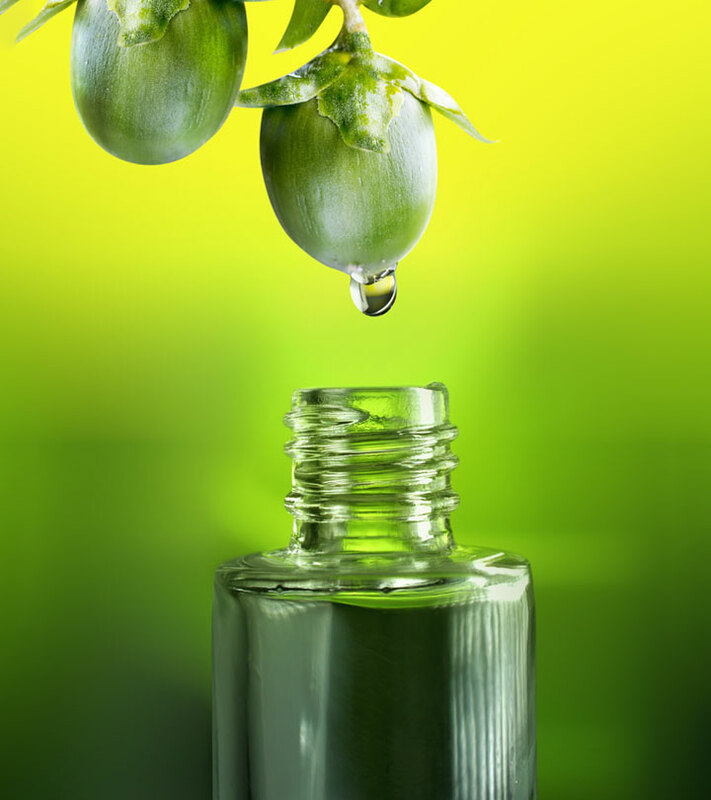 Jojoba oil has vitamin E that moisturizes the cuticles, reduces breakage, and encourages healthy nail growth (10). It also possesses anti-inflammatory and antibacterial properties that help prevent any damage to your cuticles. Try rubbing jojoba oil over the affected areas. Since it is rich in vitamins E and B-complex, jojoba oil will help in repairing the damaged skin while soothing the burning sensation (11). With its wax-like coating, jojoba oil can even shield sunburnt skin until it gets better. Jojoba oil also heals burns and cuts that often occur while shaving (12). Experts suggest that you use jojoba oil before shaving. It will help prevent razor burns and make the skin smooth. You can also apply it directly after shaving to soothe and moisturize the skin, making it a natural alternative for top quality after-shaves. Want feather-soft lips? Use jojoba oil instead of your regular petroleum jelly. Its waxy structure will help replenish the lost moisture from the lips (13). It also locks in the moisture for long hours, making your lips supple. Tired of sporting panda eyes that make you look drowsy and sick all the time? Try jojoba oil. Many studies have proven that oils are a good alternative to reduce and remove these ugly circles. Mix equal quantities of jojoba oil and chamomile essential oil and massage the blend gently under the eyes for 10-15 minutes. Wash thoroughly with warm water. Jojoba oil will help reduce the inflammation present in the area, providing you with an even skin tone. Jojoba oil can also work as a boon for pregnant ladies due its ability to reduce and prevent the inevitable stretch marks. Just rub a small quantity of jojoba oil over your belly twice a day during pregnancy and even after giving birth to keep stretch marks at bay. As it is soothing in nature, its application will calm your nerves and relax you. Our hair is often subjected to abuse with regular styling and heating. Each time you color your hair, the hair strands are exposed to harsh chemicals, which may damage them in the long run. Chemical-laden shampoos, conditioners, styling gels, and hairsprays make your hair dry, brittle, and damaged. The simple act of combing and blow-drying can also lead to hair breakage and damage. To counter the damage caused by such hair products and styling, use jojoba oil for deep conditioning your hair. Jojoba oil helps to clean the traces of clogged and crusted sebum. This, in turn, may help to reduce hair fall and breakage. Its antibacterial and anti-inflammatory properties keep the scalp clean and healthy (14). Jojoba oil can remove sticky build-up as well as airborne particles from your hair. Its keratoplastic effect makes the hair shiny and brings out its natural color. This natural oil smoothens the hair cuticles and tames dry, frizzy, and dull hair. It helps to seal the natural moisture in the hair shafts. It also adds luster and shine to the hair by minimizing the damage caused by pollutants and chemicals (15). Jojoba oil prevents hair loss and thinning caused by the clogged hair follicles. It dissolves and clears these blockages and promotes the development of new hair cells, which leads to hair growth (16). If you have dull and frizzy hair, use jojoba oil to improve its texture and appearance. It serves the purpose of a hair oil as well as a hair conditioner (17). Tip: If your hair is very dry, add a teaspoon of jojoba oil to your regular hair conditioner and apply it thoroughly to the hair. Leave it on for five minutes and then wash your hair. You can also apply a few drops of this oil to wet hair. This will act as a leave-in conditioner. Rub a few drops of jojoba oil on your palm and run your fingers through dry hair to make it more manageable. Jojoba is an excellent moisturizer for dry scalp and it helps you get rid of that flaky and brittle skin that is often mistaken for dandruff (18). Jojoba oil moisturizes your scalp deep down to the pores without evaporating. This causes a deep and lasting moisturizing effect and balances the pH level of the scalp. It also keeps your scalp healthy with its antibacterial properties. This is particularly comforting for people who have dandruff, dry scalp, and psoriasis on the scalp. It moisturizes the scalp well and keeps the hair strong from the roots. Jojoba oil helps to control the sebum excretion in the scalp. It regulates the flow of sebum in the clogged pores and balances the amount of oil in your hair (19). If you have colored hair, apply jojoba oil on your hair before going for a swim. This will help close your hair cuticles and prevent harmful chemicals from stripping your hair color (20). Jojoba oil has numerous uses and can be used to treat a plethora of issues. However, there are a couple of things you need to keep in mind while using jojoba oil for the first time. Make sure that you are using 100% pure jojoba oil and it is of the best quality (organic, cold-pressed, and having a very mild scent). If jojoba oil is contaminated with any other oil or substance, it can make the skin problems worse. Use the oil sparingly. A little goes a long way. The skin should absorb the oil completely, and there shouldn’t be any greasy residue left behind. If this doesn’t happen, stop using the oil. Here are a few questions answered for you. 1. Can jojoba oil cause hair loss? It totally depends on whether you are using pure jojoba oil or a blend. Original jojoba oil will be in the oil form, so just check whether the oil you bought is in the wax or liquid form. Also, make sure you don’t rub the oil harshly on the scalp. It hinders the normal mechanics of the scalp and leads to hair loss. Use jojoba oil very gently on the roots. 2. How much jojoba oil should be added to shampoo? For best results, make sure you don’t go overboard with the addition of jojoba oil to your regular shampoo. Ideally, you must add one tablespoon of jojoba oil to half a cup of shampoo or conditioner. 3. Is jojoba oil a heat protectant? While jojoba oil is great for your hair, it should not be used as a protection against heat generated by a flat iron. 4. Is jojoba oil a mosquito repellent? Jojoba oil, when mixed with thyme oil, is a very effective mosquito repellent. Add 4-5 drops of thyme oil to a tablespoon of jojoba oil to ward off the dangerous mosquitoes. Hope you liked our post on benefits of jojoba oil. 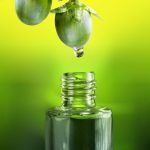 As you have seen, jojoba oil is quite useful in solving many of our skin and hair issues, making it an important part of our skin and hair care routines. Do you use jojoba oil? How has it worked for you? Do share your experience with us in the comments section.